The perfect late night haven for indulging in jazz and gin and all that glitters. Featuring the Perth Cabaret Collective with international musicians and showgirls. 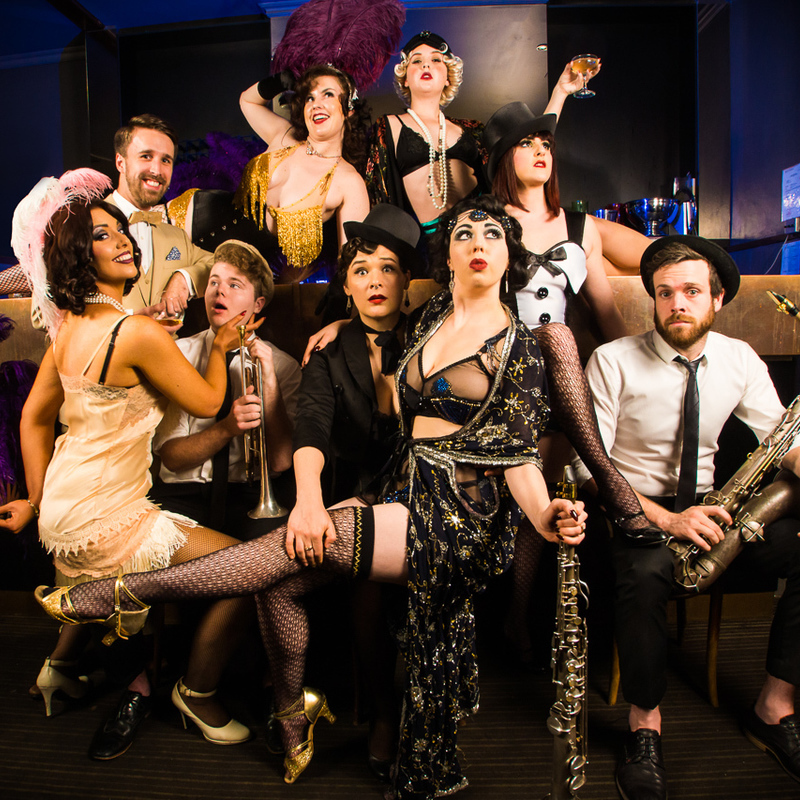 The Perth Cabaret Collective is made up of eleven of Perth's best jazz musicians and entertainers. Started in 2014 by the band's Musical Director, Jess Herbert, and joined by showgirls in 2016 with Choreography Director, The Sugar Duchess, the collective have quickly become a homegrown hit. Winner's of 'WA's Best Cabaret Show' at FRINGE WORLD in 2015 and 2016 and nominated once again in 2017, this band is simply the hot ticket in town. PCC have performed to sold-out audiences at the Ellington Jazz Club, Downstairs at His Majesty's, the Melbourne Cabaret Festival and Perth's FRINGE WORLD Festival.